Healthcare Council is hosting the annual CEO Assistants Forum on Thursday, June 7, 2018 at Healthcare Council’s Jack C. Robinette Conference Center. The Forum is designed for member CEO assistants to meet with their peers and share ideas, best practices and tips on the day-to-day operations of the administration office. The Forum is hosted by Judy Harrison, Healthcare Council’s assistant to the President. This year’s keynote speaker is Diane Frndak, Ph.D., M.B.A., who will provide a presentation and facilitate a discussion on the topic Flipping Leadership. She will discuss leading based on individual strengths with a focus on positivity, the positivity ratio and values in action. She serves as assistant professor in the Department of Health Sciences as part of Robert Morris University’s Health Services Administration program. A.J. 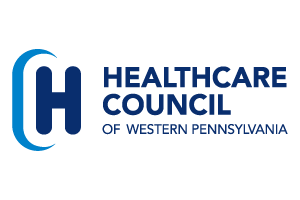 Harper, president of Healthcare Council, will provide participants with an update and the meeting will conclude with a roundtable discussion and a networking lunch. Invitations to the Forum were sent to member CEO assistants. Pat Raffaele has more than 20 years of experience in healthcare advocacy and communications, she serves as the primary lobbyist and policy analyst for Healthcare Council and its members. She also serves as the key spokesperson for the organization and works extensively with the media throughout the region.